This week’s top reads on NorthEndWaterfront.com featured climate change planning, upcoming construction, real estate, local events and more! Read on below to see the most popular articles from this past week. 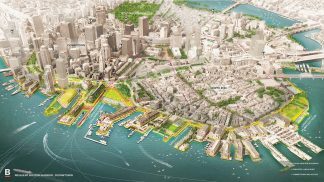 Mayor Marty Walsh announced a broad plan to shore up several waterfront parcels from flooding, including in the North End and Downtown, as part his “Resilient Boston Harbor” vision. The City Hall strategy is a step forward in protecting the city from rising sea levels, especially during major storms and flooding events. Read more here. State transportation officials issued an update on Monday regarding the North Washington Street Bridge Replacement Project. Notably, plans for a temporary bridge discussed at previous meetings have been confirmed. Read more here. 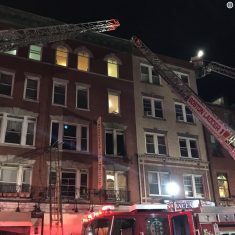 The North End / Waterfront Neighborhood Council voted 7-1 in opposition of the occupancy changes and renovations at 276-282 Hanover Street, where a deadly fire occurred in November 2017. The proposal involves joining the two buildings to allow two means of egress, and changing the existing structure from 16 units to 20 units. In contrast, the Residents’ Association supported the proposal. Read more here. The proposal for senior affordable housing at 41 North Margin Street in Boston’s North End received approval last Thursday by the Boston Planning & Development Agency (BPDA). Brought forward by the Knights of Columbus, the project will convert its existing building into 23 fully affordable senior living and ADA accessible units. Read more here. 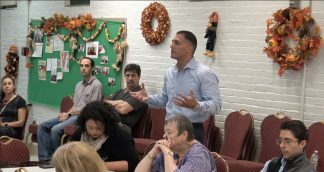 New Nazzaro Center Director Steven Siciliano introduced himself and spoke about his vision for the Center at the October Neighborhood Council meeting. He will take on the position previously held by Carl Ameno who retired earlier in the year. Read more and watch the video here. 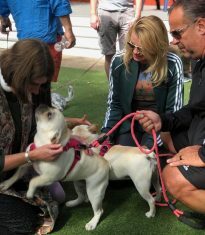 The annual Blessing of the Animals was recently held to recognize St. Francis Day, hosted by clergy from Old North Church along with RUFF, the North End dog group. Sunny, autumnal weather brought creatures big and small together for a short liturgy followed by the blessings at the North End Dog Park. See photos here.